I'm a self-ascribed creative professional with vast experience working for military, federal government, and small business organizations. My career has been based on being an adaptive designer, capable of producing high quality products across mediums. At the heart of my work is a focus on effective communication through compelling visual narratives that relay my organization’s message(s) while exceeding standards. Over the past decade and a half, my career has been a sordid culmination of assignments that has spanned continents, challenged me in ways I would have never imagined, and completely reshaped me as an individual. My success as an artist has been based almost solely on my ability to adapt, learn, and continually conform to new and different design paradigms. At heart, I’m a goal driven designer with an analysis-oriented work style. 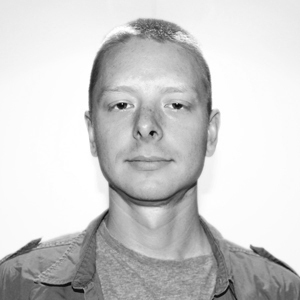 I thrive in high-tempo environments, working independently to develop products and coordinate assets. Despite the rigid command structure of the military, and sometimes federal government, I’ve found a unique position working in matrix-style environments; Having to coordinate contractors, designers, superiors, and other relevant parties. Most importantly to me, I’ve found purpose as a leader; Developing design teams and growing talent. My penchant for being a jack-of-all-trades has given me a wide base from which to draw understanding of my subordinates and further their careers. It's always about the client & the target audience. My hardest learned lesson as a designer is that the biggest mistake you can commit is to loose sight of your client or the target audience. As a designer, I serve as a visual communicator for my clients and if I fail to understand either our client or the target audience, I fail at effectively delivering my client's message. This core principal, that the purpose of design is visual communication for clients, is the reason I'm passionate about the user centered design process. From concept and research, to development and implimentation, the user centered design process keeps the focus on both the client and target audience through user testing and deliverables that keep communication open and help focus a message so that it meets its desired impact. If it's fast & well made, it's not cheap. If it's cheap & fast, it's not well made. 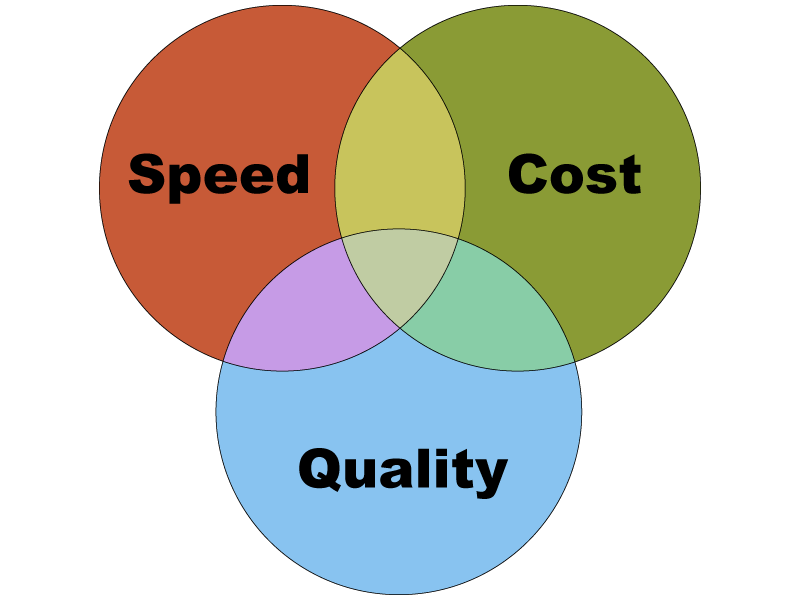 Regardless of your client, you will always need to find a balance between quality, time, and cost. This balance helps protect both client and designer and allows the delievery of the best possible product. My goal with every design I make is to stay under budget, on time, and still deliver a quality product. I have three primary aspirations: To never never stagnate, to pave the path for greater succes for those following in my footsteps, and to be a perpetual learner. 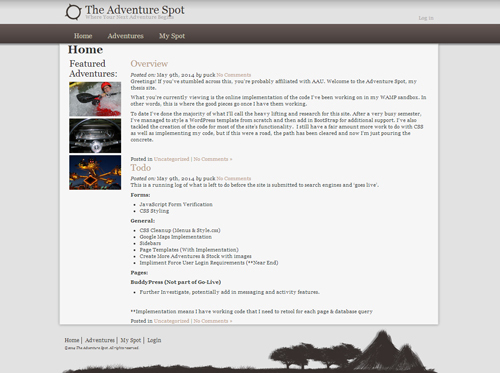 As an ongoing Work in Progress, the Adventure Spot is my final thesis proposal. This project is updated regularly and tagged with todos. Expect to see a working beta version by December! After six months of mangling my last portfolio site learning about media queries and responsive design, I've taken the break inbetween classes to update my portfolio. There's still some work to be done, but I'm off to a better start this time around. 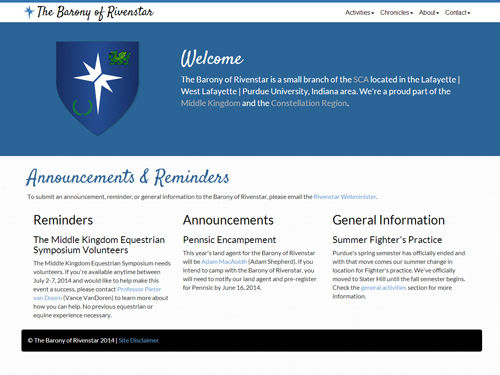 The Barony of Rivenstar is a small, non-profit group that I volunteer for as the webminster. 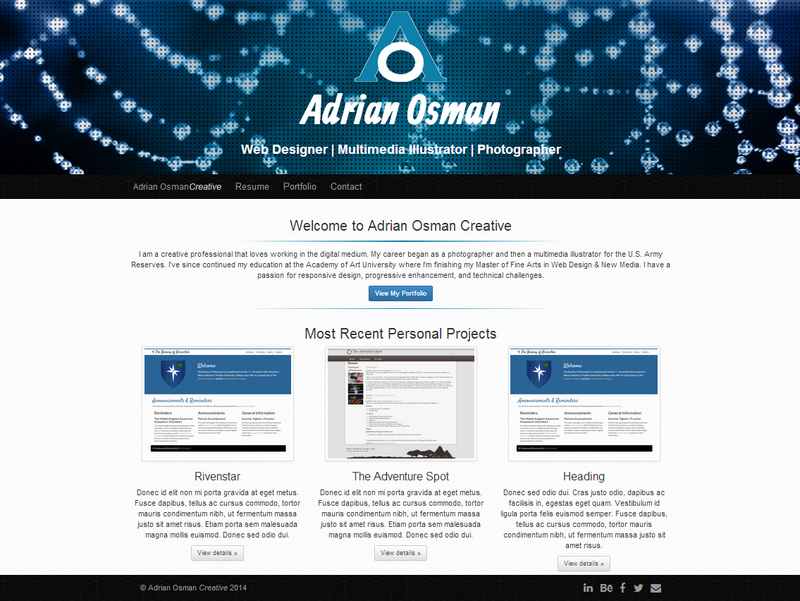 I've recently updated their site to be responsive and mobile friendly.